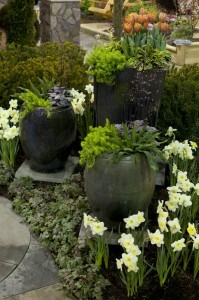 We are excited to announce that we are going to be at the Capital Home and Garden Show February 22 – 24, 2013 at the Dulles Expo Center. We’ll be in booth #910. This year our display promises to provide inspiration and ideas for creating your own exciting outdoor room for relaxing and entertaining. A myriad of spring flowers will set off a rich tapestry of foliage planting specifically chosen for their unique textures. An unusual water display will offer soothing sounds and a welcome visual treat. There will several surprises as the garden winds through the woodland! 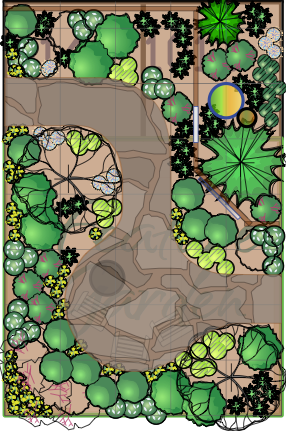 The display this year will have a custom fence running through part of the display, creating a small “mini” garden. The “mini” garden will turn into modern small garden area. An unusual window in the fence will allow a glimpse of both sides of the garden through the fence. 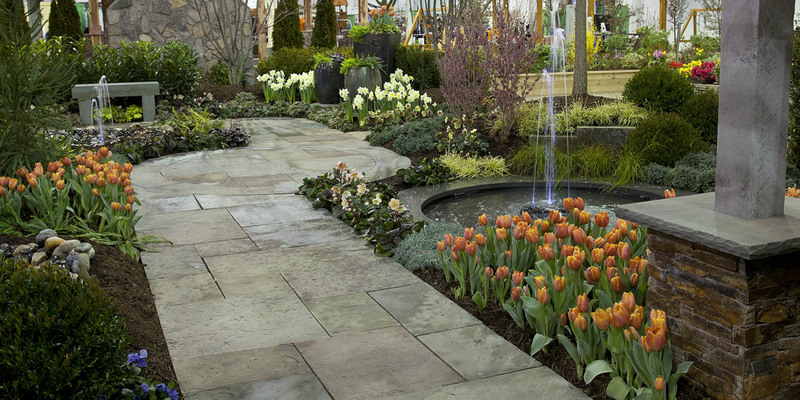 The greater part of the garden will be a natural woodland style garden – “woodland twist meets modern intrigue.” As a special treat, Tennessee Crab Orchard stone will be used extensively in the hardscape areas. 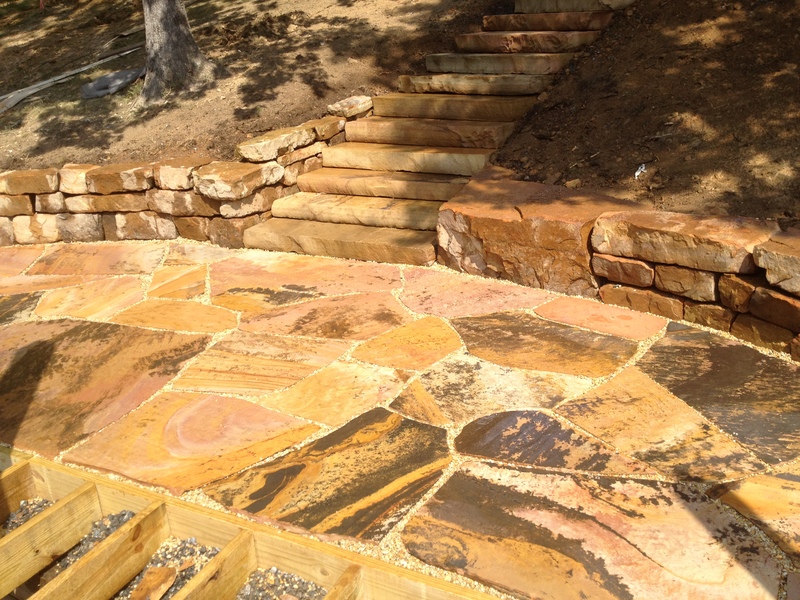 Tennessee Crab Orchard stone is durable sandstone found in the vicinity of Crab Orchard Tennessee. This unusual stone was first used in local structures and sidewalks in the late 19th century, the Crab Orchard stone gained popularity in the 1920s when it was used in the construction of Scarritt College in Nashville. Born in the heartland but raised in the South, Justin grew into an avid outdoorsman who enjoys everything about nature. The planting and cultivation of the environment has been a staple in his life and led to his career installing landscape and garden designs. With that tried-and-true experience, Justin now turns his attention to producing, writing, blogging, and on-camera appearances. 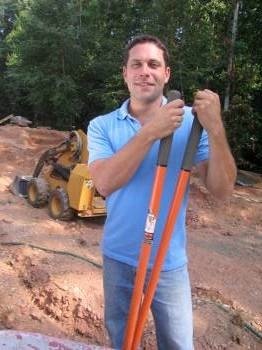 He has been featured on HGTV’s “Ground Breakers,” Turner South’s Emmy-award winning “Bushwacked,” and has appeared in numerous news segments and magazine articles. Whether designing and installing large-scale landscape projects or penning a column for garden enthusiasts, Justin loves sharing his knowledge of the outdoors. 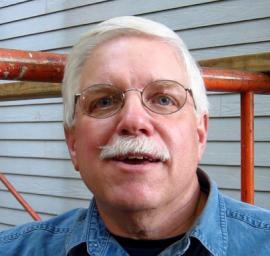 Tim Carter has decades of hands on experience in every aspect of residential construction. Tim is truly a jack of all trades and is a master carpenter, licensed master plumber, licensed master roof cutter, licensed real estate broker and has a rich history of rehabbing homes as well as building custom homes. Today Tim has a syndicated column in over 60 newspapers across the U.S. including in the Washington Post. Tim also has one of the longest running home improvement sites on the internet. Tim will be at the show on Sunday, February 24 to answer any and every question and challenge you have with your home, including, but not limited to: plumbing leaks, wet basements, roofing leaks, wet crawl spaces, energy efficiency issues, cracked concrete, cement repair, exterior paint, gutters, broken door knobs, garage door issues, basements and any and all common repair challenges. You are encouraged to bring photos and questions and challenges to the show! For a discount on tickets click on this link.